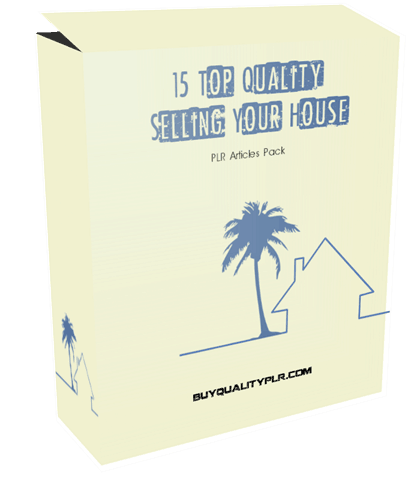 In this PLR Content Pack You’ll get 10 Top Quality Selling Your House PLR Articles with Private Label Rights to help you dominate the Selling Your House market which is a highly profitable and in-demand niche. These Selling Your House PLR articles are available in Text file format and can be downloaded instantly after purchase. What Can You Do This Selling Your House PLR? Most mortgage lenders require homeowner’s insurance. They want to make sure that if anything happens to your home, the balance of the loan is paid. But many people don’t realize that they may need more coverage than what is required by the lender. In the event of a disaster such as a hurricane, building costs rise. That means that your policy limits may be lower than what it will cost to rebuild. Extended or guaranteed replacement policies are available that will pay more than the standard policy’s limits in such a situation. How to Purchase This Selling Your House PLR Pack? 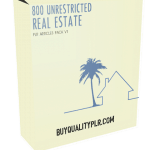 We will only be selling 50 copies on this Selling Your House PLR content pack, so don’t waste any time and grab your PLR license while it’s still available for sale.